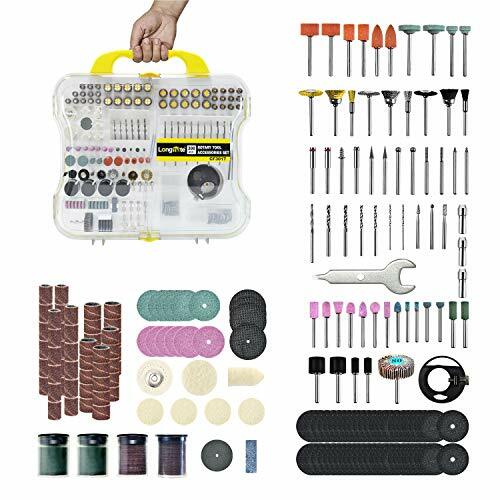 300PCS Rotary Tool Kit Assortment - Includes rich rotary tool accessories of cutting, grinding, sanding, sharpening, such as aluminum oxide grinding wheel, nylon brush axial, HSS cutter cylindrical and so on. Multi-Functional: Great for cutting, drilling, engraving, grinding, milling, polishing, removing burs, sanding, scraping, sharpening and shaping - an extensive set perfect for beginners and experienced rotary users alike. Package Included: 300pcs of Rotary Tool accessories (Suitable for most rotary type tools ) and a box to place them into. If you have any questions about this product by Longmate, contact us by completing and submitting the form below. If you are looking for a specif part number, please include it with your message.